I recently ate at a Turkish Kabob place that had amazing salmon skewers, which inspired me to recreate the delicious dish at home. 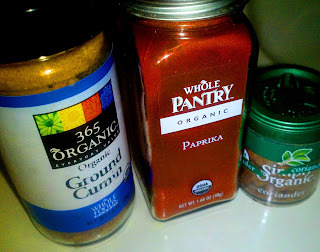 You can use your own preference of spices here, but the cumin and coriander add a touch of eastern spice to the salmon and pair nicely with paprika and garlic. I added some fresh herbs (mix of basil and cilantro) to the mix to keep things interesting. Preheat oven to Broil. 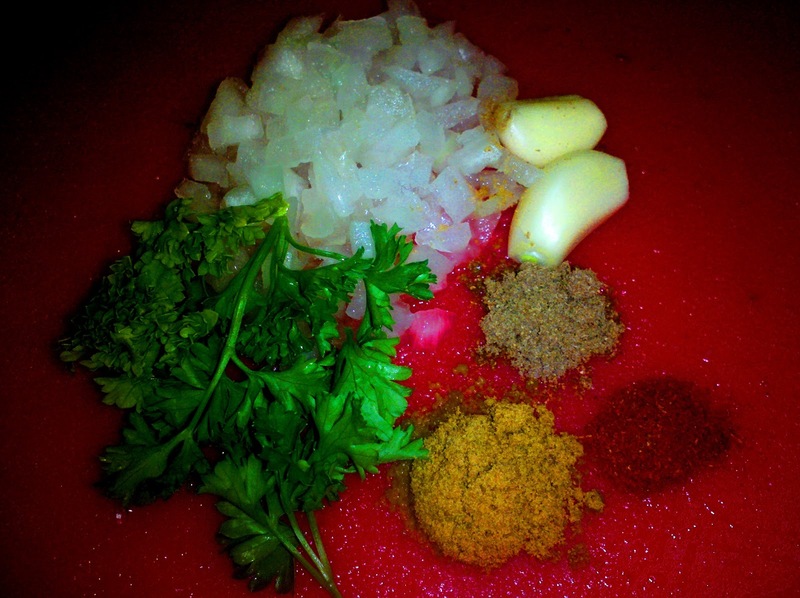 Mince the garlic and onions as finely as possible - you will be creating a paste/marinade for the salmon so the more refined, the better. Combine with preffered spices and/or herbs in a small bowl. Add olive oil to the bowl and mix all ingredients together to form a thick paste. Clean salmon - remove all skin and rinse thoroughly in cold water. 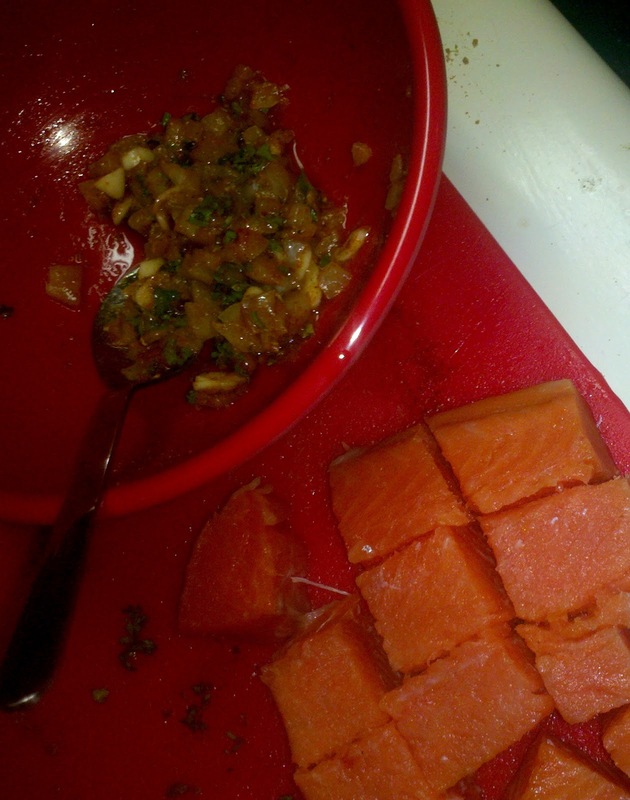 Cut Salmon into 1-inch cubes for skewers. Slice bell peppers into 1-inch chucks to add to skewers. Add salmon chunks, bell peppers, and marinade paste to a plastic bag and mix thoroughly. 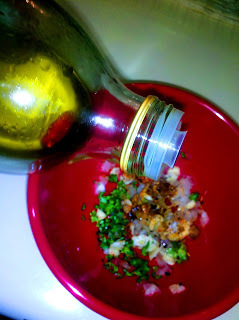 Marinate in fridge for 1-6 hours. 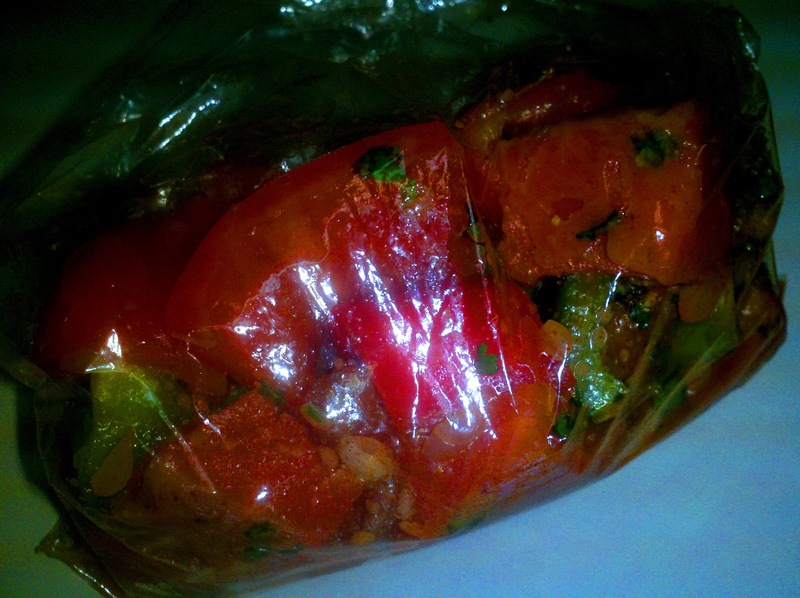 Remove salmon and veggies from plastic bag. Split amount into two sections. 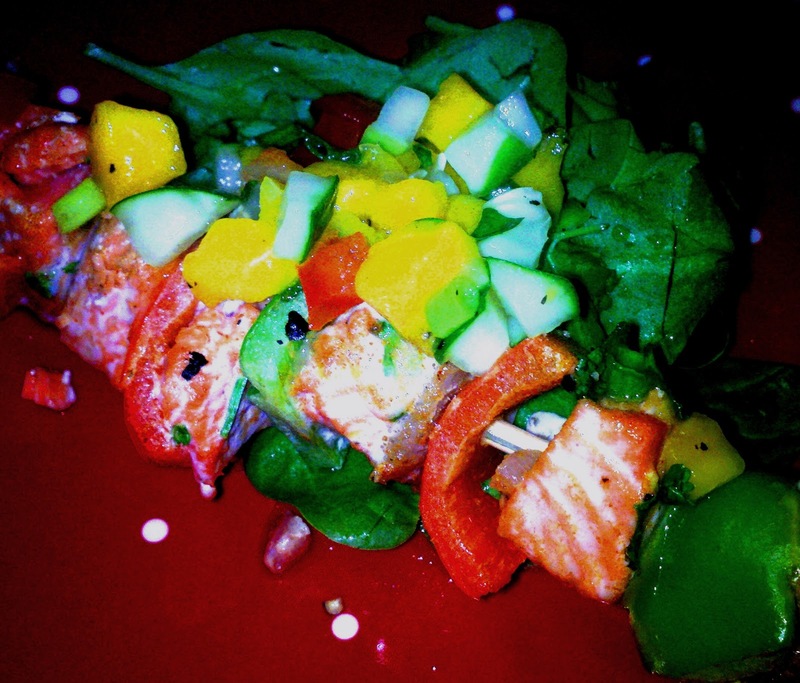 Spear salmon, then bell pepper chunks, in alternating fashion onto two separate skewers. Place salmon skewers on broiler pan. Broil skewers for 5-10 minutes, turning over once, or until salmon flakes easily with a fork. 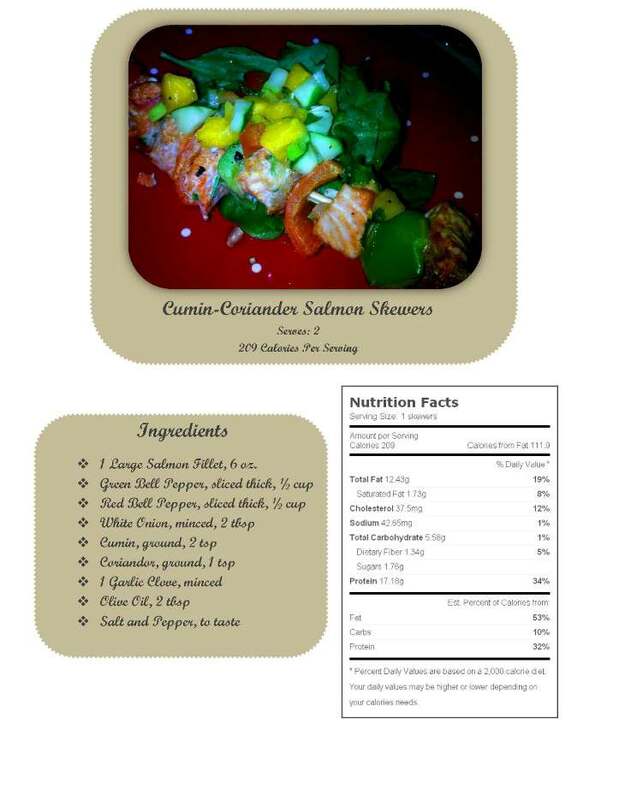 You can serve the salmon skewers according to your diet preferences (paleo with a salad, gluten free over rice, etc.) I like pairing the skewers with a lightly dressed spinach salad (just add lemon juice + olive oil + minced garlic for some simple, elegant flavors) and some mango salsa. The salmon keeps for one or two days, so pack some up and take it as an easy, delicious lunch!